Cesium (Cs) is a metal with atomic number 55, group 1 and period 6. It can be non-radioactive or radioactive. Cesium-137 is one of its most common radioactive forms. Cesium metal was first discovered in 1860 by two Germans Robert Bunsen and Gustav Kirchhoff while working on flame spectroscopy. Radioactive Cesium with other variants was first discovered in late 1930s. Non-radioactive Cesium is found naturally in many metals. Cesium-137 is produced when neutron is absorbed by uranium and plutonium and undergoes fission. This process is used in nuclear reactors and nuclear weapons. It is only one of the three metals that are liquid in room temperature (83 °F). Half-life of Cesium-137 is 30.17 years. Its molecular weight is 136.9071. Its nominal mass is 137 Da, average mass 136.9071 Da, and monoisotopic mass 136.9071 Da. Its strong radioactive nature makes it very useful as isotopes in nuclear weapons, nuclear reactors and industries. It is used as a moisture-density gauge in the construction industry. It is used for detecting liquid flow in pipelines and tanks. This radioactive metal is used in measuring gauges, for calculating dimensions of sheet metal, paper, film and other such products. One of Cesium’s notable usages is in atomic clocks. The speed of vibrations in the element’s outer electrons is recorded and multiplied by 9,192,635,770 to determine a second. In medical science, it is used to treat cancer. People are exposed to this substance in very small quantities through soil and environmental fallouts. 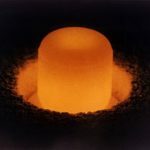 Exposure to this radioactive substance was mainly because of nuclear tests during the 1950s and 1960s. However, much of it is now decayed. Nuclear accidents such as Chernobyl disaster in Ukraine and fallout of tsunami in Japan in 2011 release some amount of Cesium-137. For instance, water from units 1-4 at Fukushima Daiichi plant has polluted adjoining seawater with this substance. Often, industrial and healthcare equipments containing Cesium-137 are not disposed properly or stolen. In such cases, there is significant risk of contamination. If drinking water is contaminated with this metal, it can directly enter the body thereby exposing living tissues to beta and gamma radiation. Human beings may be exposed to it with food or water or through dust. Once inside the body, it spreads uniformly across the soft body tissues. Concentration of this metal is a bit higher in muscles while lower in bones and fats. Compared to many other radionuclides, it remains in the body for a relatively shorter period of time and eliminated through urine. 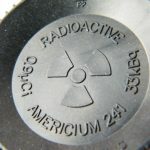 Exposure to this metal can lead to cancer, as is the case with other radionuclides. Very high exposure, which is rare, could lead to serious burns and even death. There are specialized ways to detect exposure of Cesium-137 to human body, such as a method called “whole-body counting”. There are a number of portable appliances that can measure its level in soft tissue samples from organs or blood, bones, and milk. Beta particles emission and relatively strong radiation of gamma lead to the radioactive decay of this substance. It degenerates to barium-137m, a short lasting decay output, which then converts to a non-radioactive variant of barium. Half-life of Cesium-137 is 30.17 years. 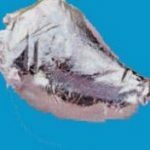 Elimination of this metal is difficult because it moves easily through the environment.